Rolling Stone Divorce -- Who Knew?! Ronnie Wood is finally getting a divorce -- from a woman to whom he barely remembered he was still married! For more than 15 months, the Rolling Stones member has been very publicly runnin' around with a very young, very hot Russian cocktail waitress (left) -- and it seems Ronnie's wife has finally had enough. 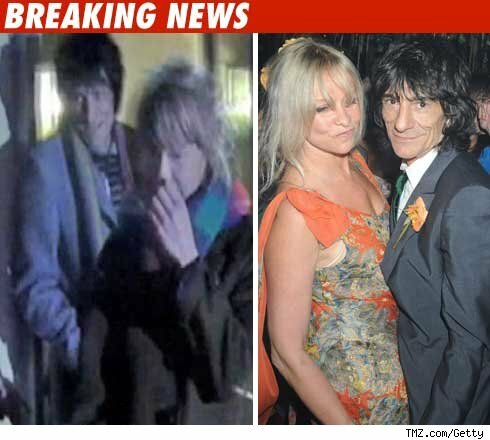 Wood's wife, 53-year-old Jo Wood (right), has reportedly filed divorce papers in London and according to British tabloid, The Sun, it's all over Ronnie's "adultery."